Thanks to its specialist construction, the Sport Maxx RT 2 achieves more rubber-to-road contact enabling the tyre to bite more tightly to the surface of the road for superior gripping capabilities. Designed with a continuous centre rib, the Sport Maxx RT 2 increases driving stability for superior handling capabilities and precise steering. 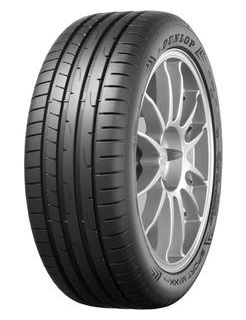 In addition, an asymmetric tread design works to provide an enhanced cornering performance. The Sport Maxx RT 2 features specialist power braking blocks which work to maintain rigidity when braking force is applied. This increased stiffness enables the tyre to maintain contact with the surface of the road when braking, resulting in shorter braking distances especially at high speed.